Reverend Larry L. Marcus is a native of Twiggs County, Georgia. God called him into the gospel-preaching ministry at the age of sixteen. He was licensed at the O Marion Baptist Church in Dry Branch, Georgia, under the council and pasturage of the late Reverend M. D. Dumas. Upon graduation from high school, Reverend Marcus relocated to Cleveland, Ohio, and served as an associate minister at the Saint John Baptist Church, and later the Morning Star Baptist Church, where he was catechized and ordained under the supervision of the Pastor, the late Reverend Doctor Solomon L. Cole. Reverend Marcus is a graduate of the Philadelphia College of Bible, Langhorne, Pennsylvania, and the Theological Seminary Of The Reform Episcopal Church in Blue Bell, Pennsylvania. He served as the General Secretary of Black Clergy of Philadelphia and Vicinity. 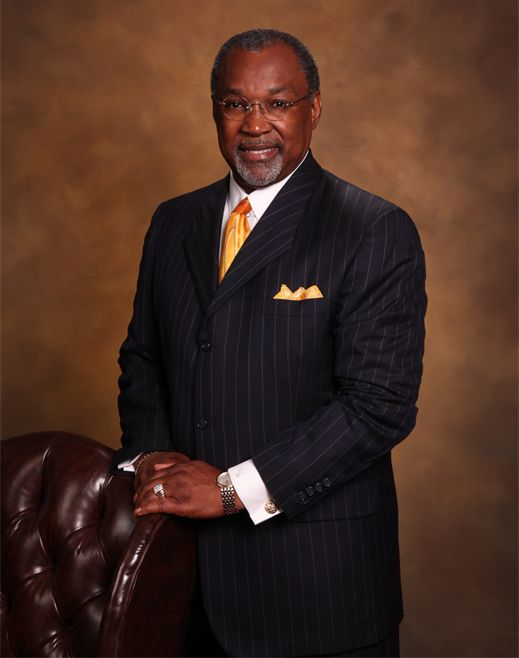 He is the former President of the Baptist Ministers' Conference of Philadelphia and Vicinity, a member of the Baptist Pastors Ministers' Conference, Pennsylvania Eastern Keystone Baptist Association, Pennsylvania Baptist State Convention, and the National Baptist Convention USA Inc.